The "Take It!" came from being attracted to a further look at a motorcycle that had a huge cooling fan installed in front of the engine. 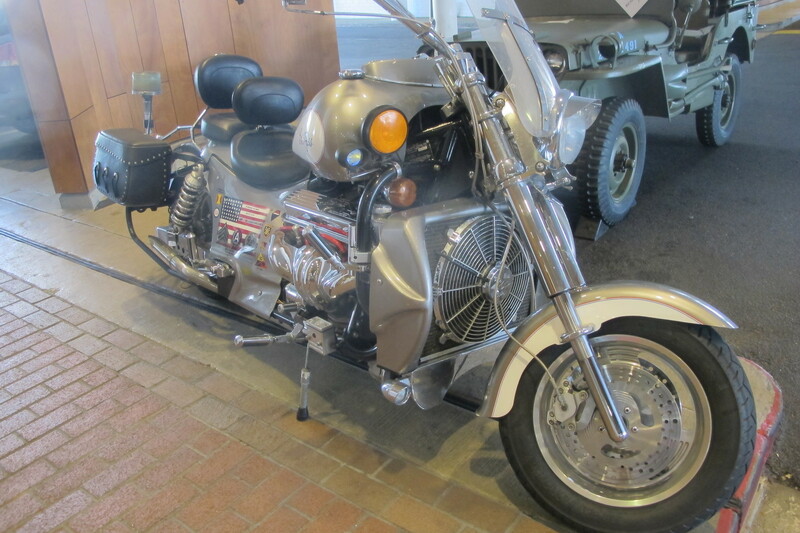 Upon closer review I found the Bike was powered by a V8 motor from an automobile. 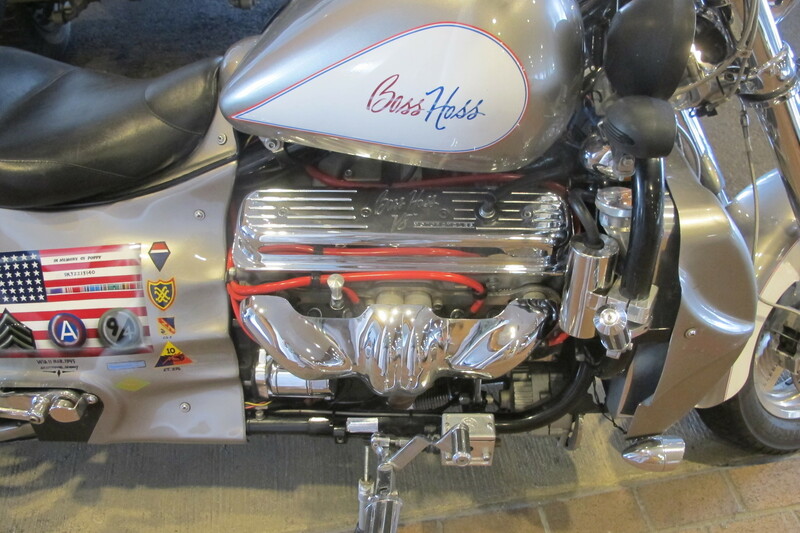 A visit to the web site for "Boss Hoss" found a very descriptive account of the motorcycle which is powered by a General Motors engine. Apparently the motors are bought brand new from the factory and installed at the bike plant in Tennessee. I thought from first viewing the bike in person that one would have to have enormous legs in order to constantly support the machine when it was standing still. The web site touts that their mfg of the frame has it in very true balance, thus fairly easy to manage. I can only think this must be one awesome ride and best left in the hands of a very experienced rider. The After Take: Most shared my disbelief that such an engine could be placed in such an application. Seeing is believing. That is one hefty motorcycle. Nice! My brother had one similar to this for a few years. I'm going to have to show him this. 1940s air conditioner haha. What a hog!!! I wonder what year it is. Looks restored. Are the seats swivel chairs?